Jack Grealish looks set to be back in the green of Ireland next year after taking a year’s exile from the international set-up. The much-hyped Aston Villa midfielder was named Ireland Under-21 player of the year at tonight’s FAI Three Awards in RTE and Grealish explained his recent absence from Noel King’s Under-21 side. 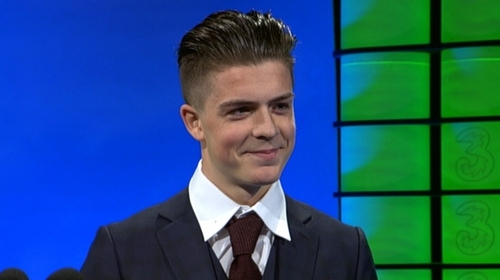 “I spoke to Noel at the start of the year and I said I was going to take a year out of international football this year and try and concentrate on my club football,” said Grealish.